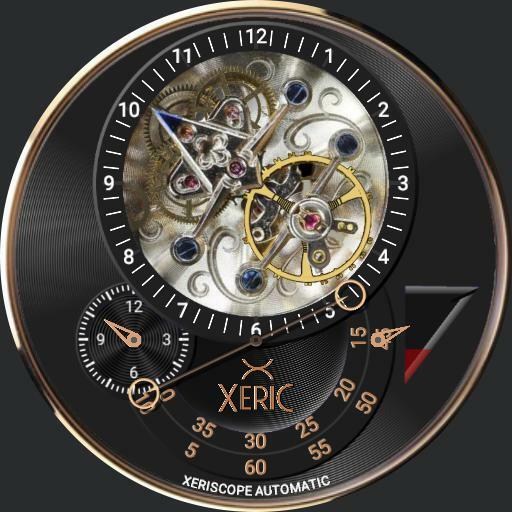 Here we have another version of the Xeric Xeriscope watch dial in rose gold. This is the dial for the square cased version of the watch. The little pointer on the lower right is the power reserve. Tap the centre to remove the bezel and lower the small printed name on the watch. Enjoy it as much as I enjoyed making it. .